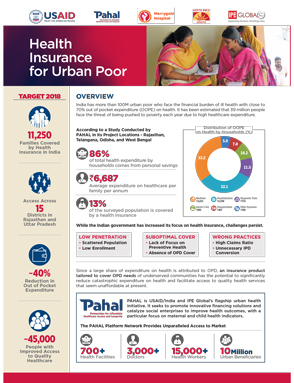 PAHAL has collaborated with Adity Birla Health Insurance to develop a viable health insurance product that covers In-patient and Out-patient expenses for patients belonging to underserved urban communities. The product will lead to a reduction of -40%* in OOPE on health. With the help of this product, it aims to improve health seeking behaviour by improving access to quallity health services.